Mesa Mayor John Giles vists with Chamber CEO Sally Harrison to talk about the Questions on the ballot in the upcoming 2018 general election. 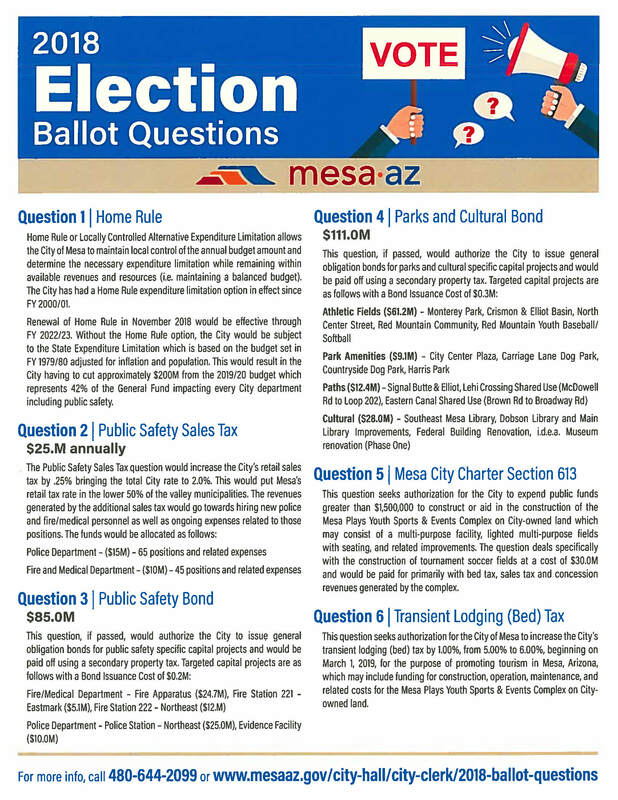 The Mesa Chamber of Commerce has endorsed a 'Yes' vote on the Questions as a vote for "Yes, Mesa! ".